UPS has infinite solutions for every shipping obstacle. Who knows more about the ins-and-outs of shipping than the boxes themselves? 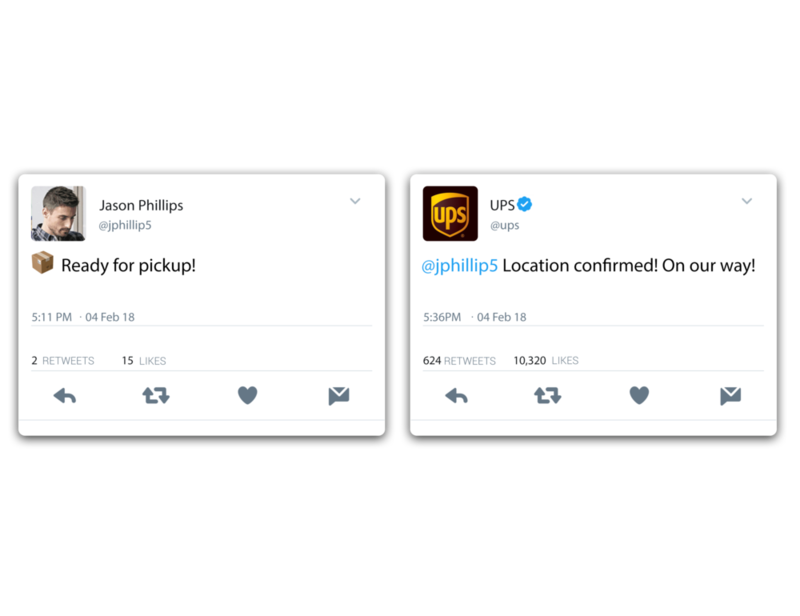 Forget making time to get to a UPS store, just Tweet the box emoji and the nearest UPS driver will come to you. 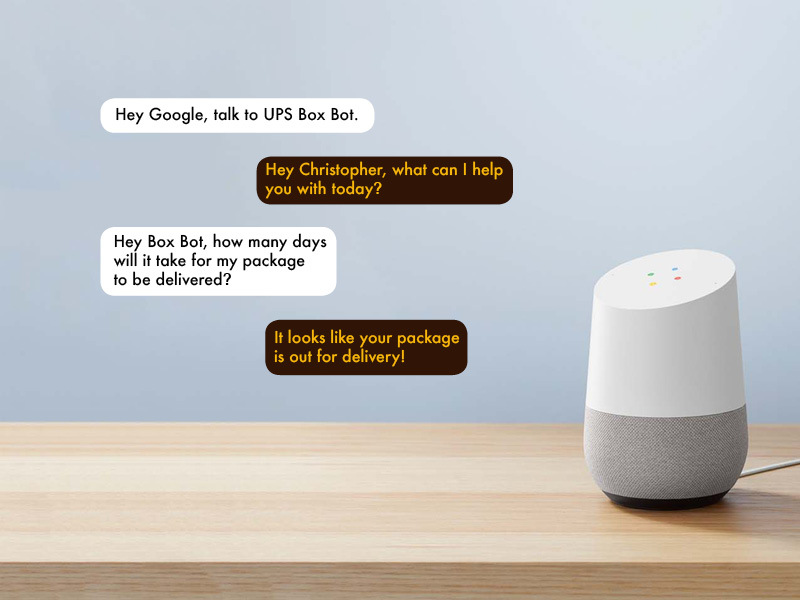 A quick shipping question deserves a quick answer with the UPS Box Bot extension from Google Home.